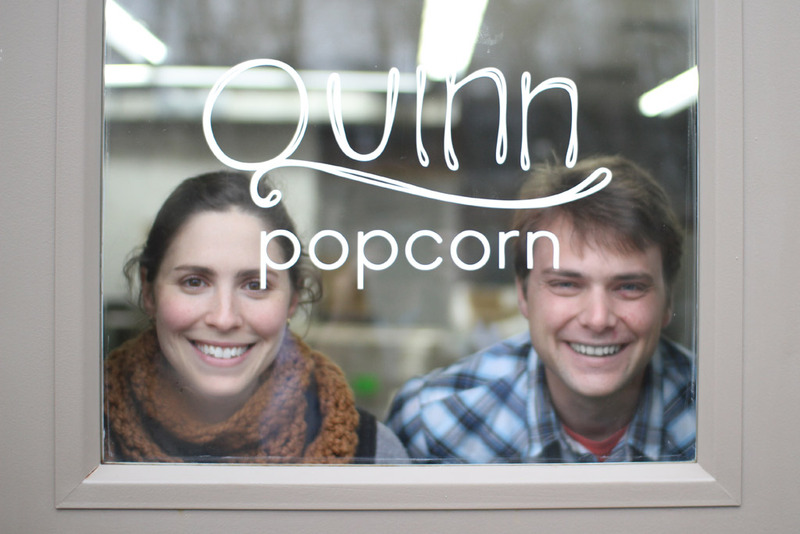 Maker of the Month Quinn Popcorn is shaking things up! Ahh, microwave popcorn. We admit it, we love the stuff. We all grew up indulging in that perennial American junk food classic. Sure it hits the spot, but when it’s over you’re left feeling kind of bad knowing you devoured a snack straight from Big Ag. But did you hear the Pop heard round the food world? It’s the most amazing, game-changing microwave popcorn made by Kristy and Coulter Lewis of Quinn Popcorn, Manhattan Fruitier’s Makers of the Month. 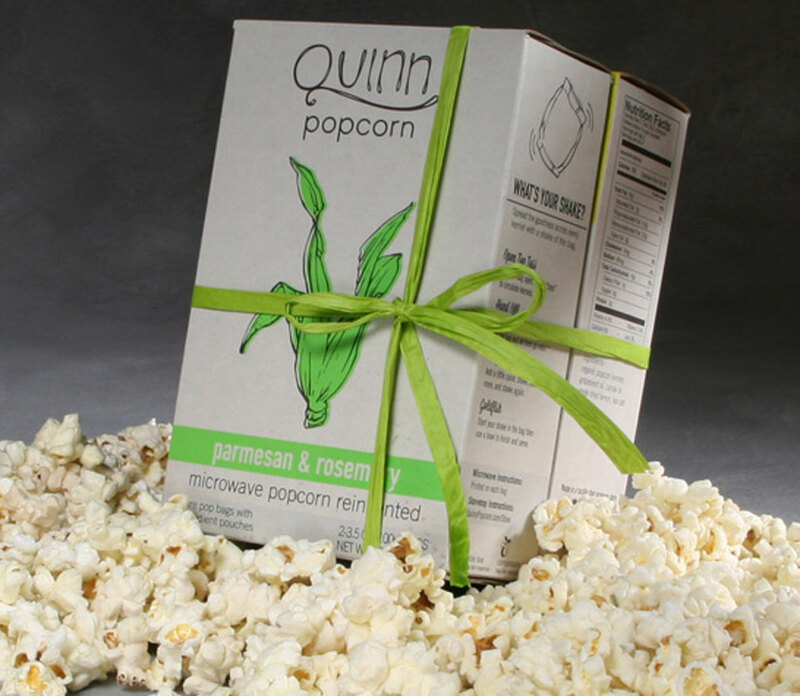 Quinn Popcorn, named after Kristy and Coulter’s baby boy, has reinvented their favorite childhood snack of microwave popcorn to a delicious and addicting effect. Using non-GMO corn sourced from organic farmers and quality food for their flavors – real butter please, hold the Diacetyl Butanedione! 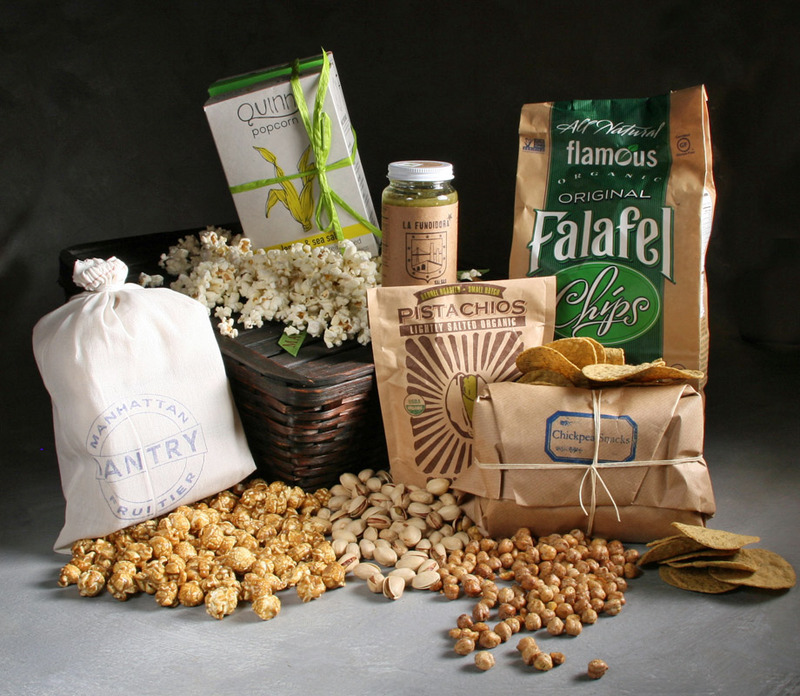 No artificial coatings or harmful chemicals on – or in – the bag. Kristy left her job in the video game industry working with the creators of RockBand (snacks and video games- could one exist without the other?) to start Quinn Popcorn with her husband Coulter. Their mission from day one has been to make popcorn that is pure, tasty and feel-good fun. Together they are revolutionizing an industry whose bag could use a good shake. 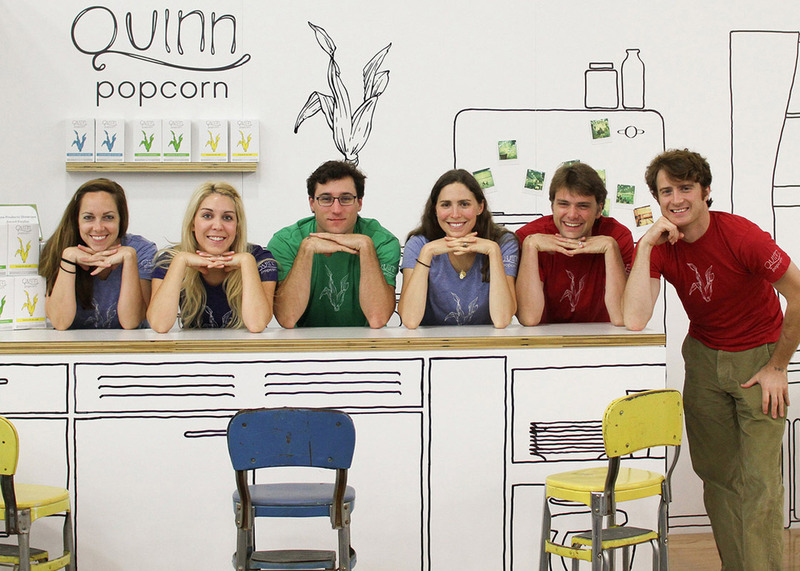 We recently spoke with Kristy to learn more about Quinn Popcorn. Here are her thoughts on the company’s beginnings and future goals. 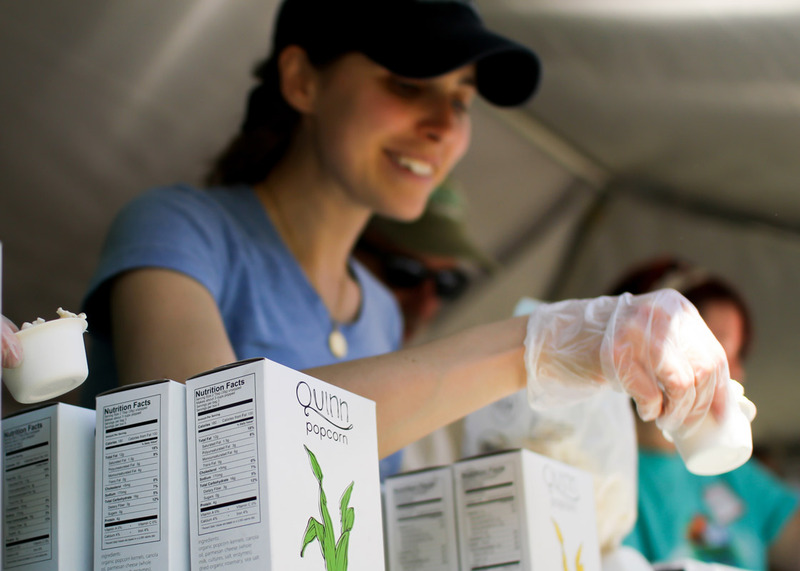 Please share with us a bit about Quinn Popcorn’s mission. Kristy Lewis: Our mission has always been to bring a healthy and safer alternative to market. In doing so, we learned the ins and outs of the food industry. We came to realize that it wasn’t just about cleaning up microwave popcorn, it was about creating an honest food brand. Our goal was and is to establish a brand that families can 100% trust. Your corn is pretty special and unlike any other microwave popcorn on the market. What type of corn is it? What farms grow it for you? And how is it different from other corn crops? Quinn Popcorn is organic popcorn grown in the US. Not only is our corn supplied to us by American farmers, but it’s also popped in our Pure Pop Bag. 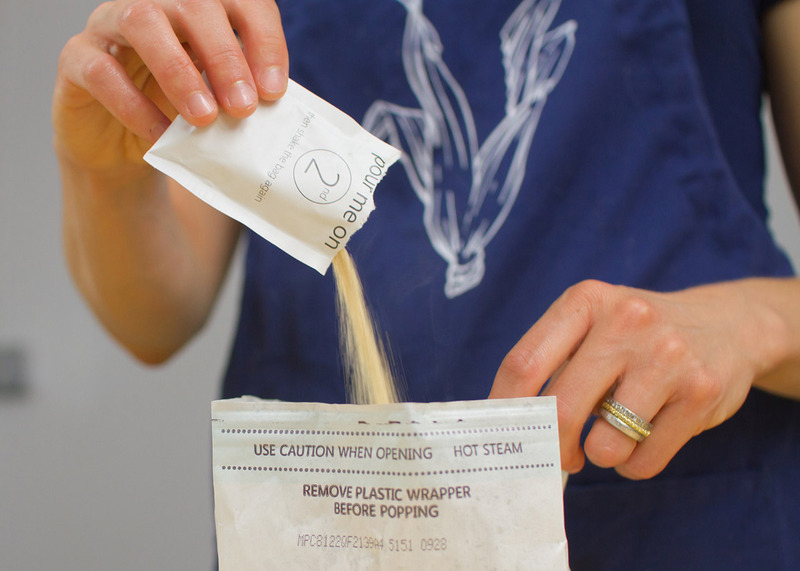 The first and only compostable microwave popcorn bag to market. We think that is pretty special. Do you source your corn kernels from one farm? How intense was your search for the right farmer to supply you with the highest quality corn? Not one farm, but many farms around Ohio, Nebraska, and Illinois. It was really intense. We wanted to source from our backyard. We tried a ton of corn, popped it, seasoned it, and realized the best corn was grown in the Midwest. Tell us about your production methods. What is the journey of the kernels to the finished bag? The corn is grown and harvested on the same land. It then travels to Nebraska to be sorted, cleaned and packed into our bags. Packing up the popcorn for a recent shipment. The birth of Quinn Popcorn coincided with the birth of your son Quinn. It must be quite a family affair. How did you juggle starting a new business with being new parents? Quinn just started to realize his name is all over the box. We just brought a bunch into his classroom for snack time, and it was really fun to see his excitement. He loves the Maple & Sea Salt flavor, and he’s addicted to all of our cheese flavors. The juggling will always be a challenge. We knew this wasn’t going to be easy. If it was, then we probably wouldn’t have done it. We just had another baby boy, Nash, and I am looking forward to the day I will be able to sleep again. Maybe never, but it’s all totally worth it! Kickstarter gave you the boost you needed to launch your dream business and establish a loyal following. Are you still in contact with those early investors? Our Kickstarter backers truly gave us the platform we needed to launch; not only financially, but they provided us with the confidence as well. We have Kickstarter backers following us on Facebook, Twitter, and some even email us to this day. We love hearing from them. We will forever be grateful for their early and continued support! Besides the amazing taste of your popcorn, your efforts to create a bag that’s chemical-free and a non-GMO corn are some of the greatest selling points of your product. Those alone will entice the consumer — beyond those accomplishments, what differentiates your popcorn from others? Creating a compostable bag meant that the only thing in the bag could be popcorn, and nothing else! In each Quinn Popcorn box you receive 2 bags of popcorn, 2 oil pouches, and 2 spice pouches. You pop, pour the oil on, pour the spices on, and shake. This allows for two things: 1. Pure ingredients. We use high oliec and expeller pressed oils, and real food. 2. It’s semi-homemade, and a really fun snack to enjoy with family and friends. Quinn Popcorn use only real ingredients to flavor their popcorn. Pop the corn and pour into the bag! 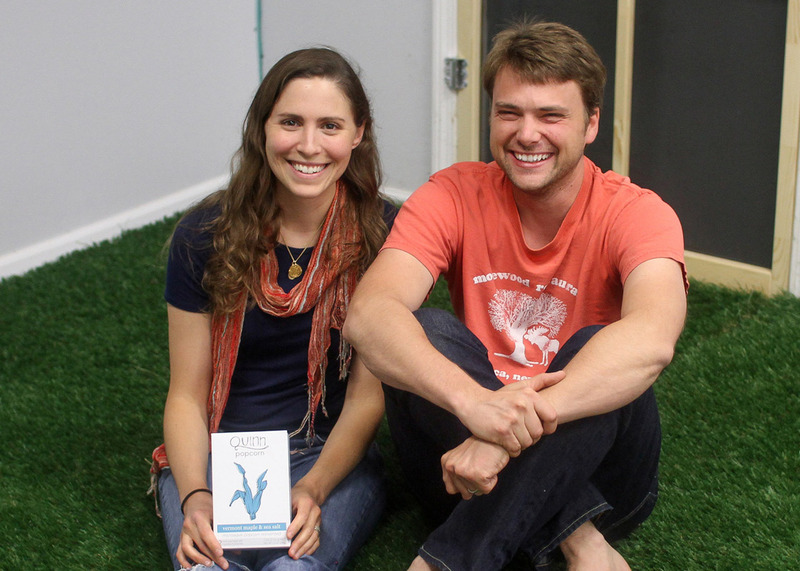 You started your company in Woburn, Massachusetts but have recently moved to Colorado. What were the deciding factors in such a big relocation? While our team is from the east coast, and Boston has been home to many of us for a few years, we decided to relocate the company because we wanted to join the natural foods community. With deep natural and organic food roots in Boulder, we instantly felt that this was the perfect place for Quinn. Being surrounded by so many entrepreneurs in the food space has been extremely inspiring. It seems like Quinn has a really dedicated, amazing staff. How did you put your team together? Luck. Truly. We have been very fortunate. It all fell into place shortly after our Kickstarter campaign, and the same team has been with us ever since. The food industry was new to each of us when we first started . We have an exceptionally dedicated team. Passion, drive, and teamwork are the only reasons why we are still here today, and it’s how we will accomplish everything we hope to do going forward. Kristy and Coulter and the Quinn Popcorn team. What advice do you have for budding entrepreneurs who are thinking about getting into food manufacturing? Reach out to everyone you know in the food world. Call co-packers, suppliers, and companies you admire for advice. This industry is extremely friendly, and we are all rooting for each other! How big do you want Quinn to be? Is it possible to bring your product to national grocery shelves and still maintain your high standards? Big! Quinn has huge potential, and I am hoping we can take it there. You can have a big brand and still do the right thing. We will always maintain our high standards. No doubt about that! Kristy and Coulter of Quinn Popcorn. What is a great day for Quinn popcorn? Every day. I can’t imagine doing anything else. It’s exactly where we are supposed to be. The best day is when we receive emails from customers saying they love our popcorn, and that their 5 year old can’t stop eating it. That always puts a huge smile on our faces. Manhattan Fruitier’s Pop-Up Party featuring Quinn Popcorn. This entry was posted in Maker of The Month, New Products. Bookmark the permalink.